Asus Zenfone 4 Selfie Pro gives your favorite selfie smartphones a run for their money. Asus Zenfone 4 Selfie Pro is a force to reckon with in the selfie department. Its dual-selfie camera boasts a whopping 24MP DuoPixel camera for its main front shooter. This is technically a 12MP Sony IMX362 with dual pixel autofocus tech. The secondary selfie camera is a 5MP affair with 120-degree wide angle lens. 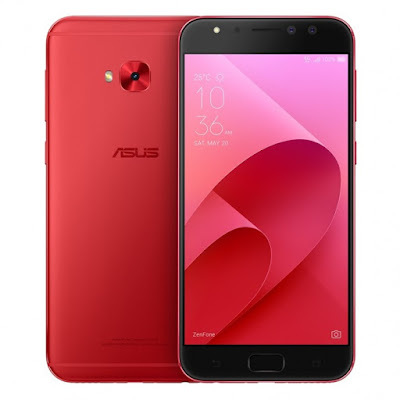 The Asus Zenfone 4 Selfie Pro is framed with 5.5-inch full HD AMOLED display just like the standard Zenfone 4 and Zenfone 4 Pro. This means that it packs 401 ppi pixel density and 1080 x 1920 resolution. You'll also have a choice between 3GB and 4GB of RAM but the native storage is fixed at 64GB. The Asus Zenfone 4 Selfie Pro is powered by Snapdragon 625 chipset; it comes with a front-mounted fingerprint sensor and 3000 mAh battery. It'll also boot with Android 7.0 Nougat with ZenUI 4.0 on top.